Info on where you can find Xur and what Exotic items he's selling in Destiny 2 this week. Each week, Destiny 2 players want to know where to find Xur and what Exotic items he has up for sale. During the week of February 1, Xur can be found at the same location selling the same selection of items. After February 5, you’ll need to wait until the following Friday to find Xur again. At that time, he’ll have moved to a new location and will be selling a different assortment of Exotic weapons and armor. Wondering where to find Xur in Destiny 2 this week? We’ve got you covered! Below, we’ve put together a quick guide on where to find Xur and what Exotic items he has available for purchase during the week of February 1 through February 5 in Destiny 2. 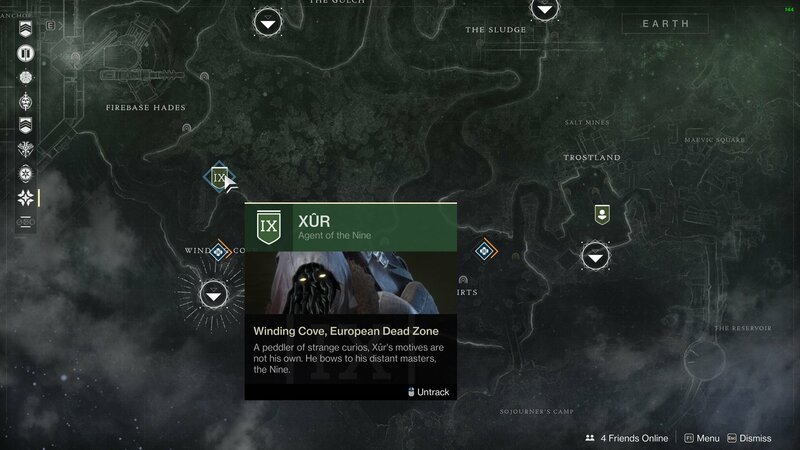 During the week of February 1, Xur can be found in the Winding Cove area of Destiny 2. In Destiny 2, Xur can be found a new location every week selling a different selection of Exotic items. The Exotic items sold by Xur can be purchased in exchange for Legendary Shards. Starting on Friday at 10:00 a.m. (PST), 1:00 p.m. (EST), and 6:00 p.m. (BST), Xur will appear at a random location in Destiny 2. He’ll remain there until Tuesday at 10:00 a.m. (PST), 1:00 p.m. (EST), and 6:00 p.m. (BST) and won’t reappear until the following Friday at the same time. During the week of February 1, Xur can be found at one of his familiar haunts within the Winding Cove area of the EDZ on Earth. To get to Xur, you’ll need to spawn into Winding Cove, then head immediately north until you reach a rocky cliff area. Climb up the path, and at the very back where a downed Fallen ship resides, you’ll find Xur standing near a patch of trees. 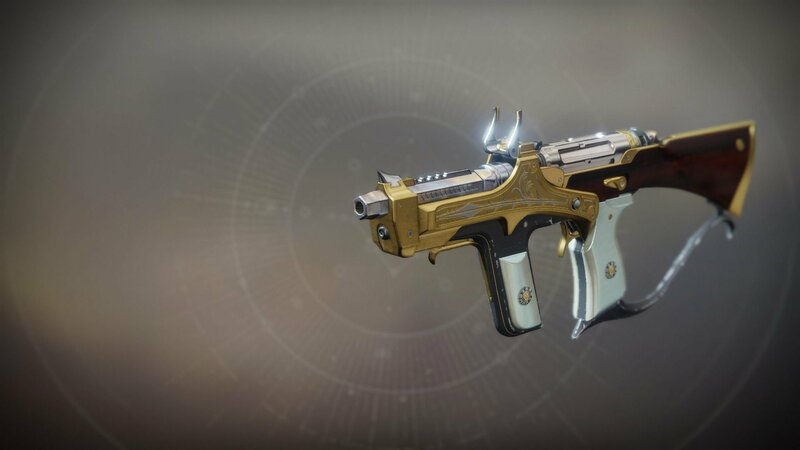 You can purchase The Huckleberry Exotic SMG from Xur this week in Destiny 2. During the week of February 1, Xur can be found boasting an inventory full of interesting and viable Exotic items. In Destiny 2, these Exotic goods can be purchased in exchange for Legendary Shards. Below, you’ll find all of the Exotic items sold by Xur during the week of February 1 in Destiny 2. After reviewing the list of Exotic items available for purchase, what are your thoughts on Xur’s inventory during the week of February 1? Are you planning on adding The Huckleberry to your collection, or are you more interested in armor pieces like the Claws of Ahamkara? Let us know down in the comments below! For a visual guide on where to find Xur and what he’s selling in Destiny 2 this week, check out the video below courtesy of YouTube user Mesa Sean. For more on Destiny 2, be sure to check out some of our previous guides including how to get The Last Word in Destiny 2, how to get the Mysterious Box in Destiny 2, and how to get the Wavesplitter in Destiny 2.